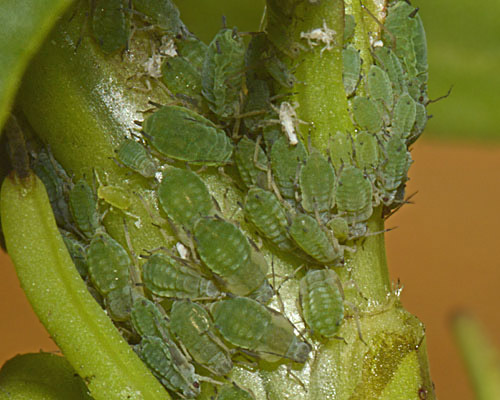 Apterous Aphis tripolii are apple green with a dusky head and no wax powdering. The abdominal dorsum is entirely pale. The siphunculi are yellowish with dusky apices, and are 0.86-1.22 times the length of the cauda. The cauda is dusky with 5-9 hairs. 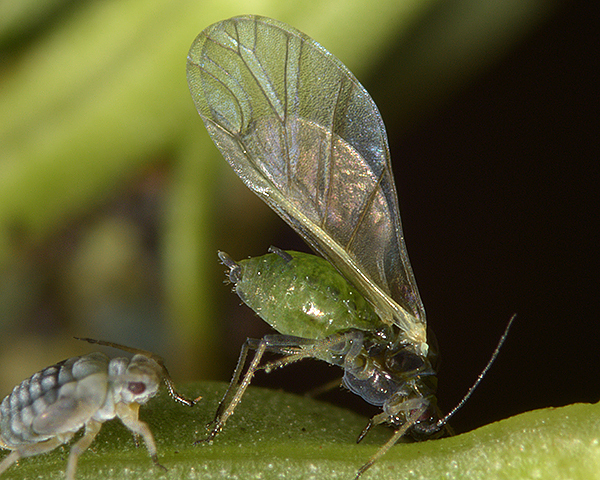 The body length of Aphis tripolii is 1.3-2.45 mm. Alate Aphis tripolii (see second picture above) have rather pale marginal and postsiphuncular sclerites, and sometimes pale and inconspicuous bands across tergites 7-8. The siphunculi of alates are uniformly dusky sclerotic. 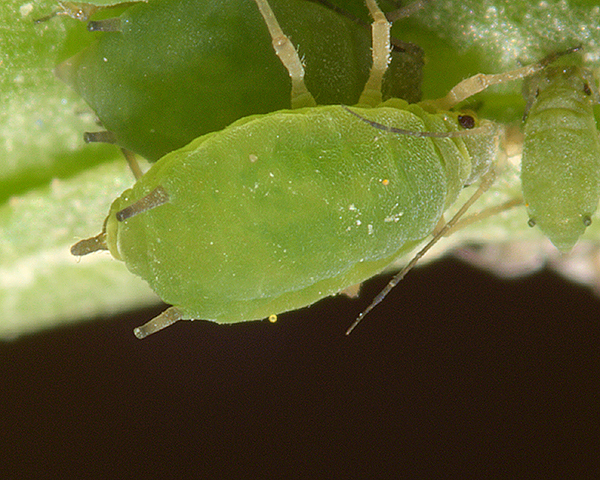 Aphis tripolii nymphs have a faint dorsal pattern of wax powdered spots (see second picture above). The second picture above is a micrograph of of an aptera of Aphis triploii showing the dusky siphunculi and cauda. 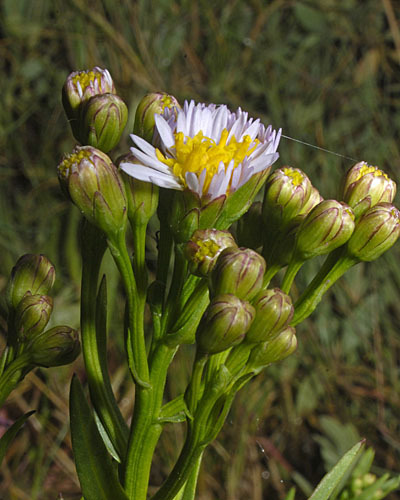 The sea aster aphid does not host alternate but remains all year on on the upper parts of the leaves and on the flowers of Tripolium pannonicum (sea aster). Sexual forms are produced in autumn. 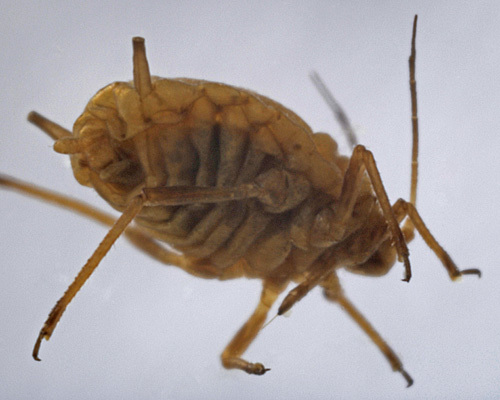 Aphis tripolii is found in coastal salt marshes or on mud flats in a few European countries including Britain. Our record for Hampshire appears to be a new one for that county as Aphis tripolii is previously only known from the coastal fringe from Kent round to Norfolk and in Wales. We have found Aphis tripolii several times in southern England, especially at Keyhaven Marshes in Hampshire (see picture below) and Rye Harbour in East Sussex. 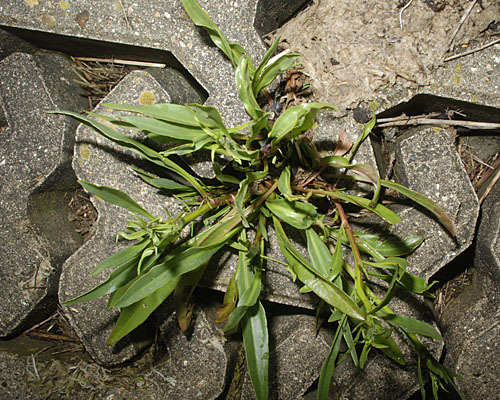 At Keyhaven Marshes we searched numerous large healthy sea aster plants (see first picture below) until we finally found a colony on a lone, rather sad-looking plant growing on the sea wall (second picture below). 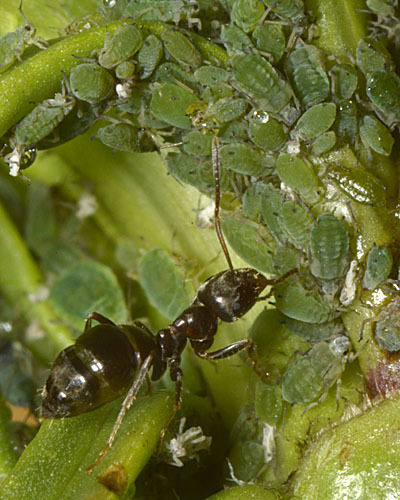 The tendency to get aphids on stressed plants is well known, as happens in unusual and marginal microhabitats. 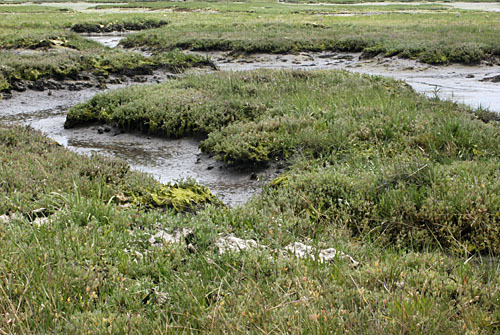 A similar preference for stressed plants has been reported for an American species of saltmarsh aphid, Uroleucon ambrosiae, which lives on salt marsh elder (Iva frutescens) (Hacker & Betness, 1995), although in that case the apparent reason was that coccinellid predators favoured taller more productive plants. 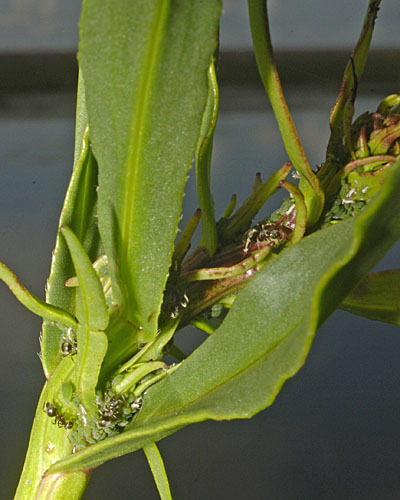 Unlike the sea lavender aphid, the green sea aster aphid is attended by ants, as can be seen in the pictures below. The ant shows a superficial resemblance to the common black ant (Lasius niger), but we would appreciate identification from anyone who is more 'up' on ants than we are. There has been very little research done on Aphis tripolii. Foster & Treherne (1976) observed that in a submerged colony, the only aphids that died were those that moulted whilst immersed. Also the winged adults were unable to fly after submergence (hardly a great surprise! ).